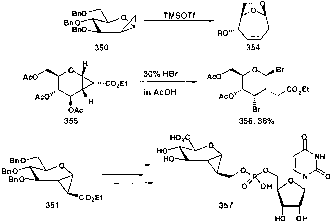 Dorgan and Jackson  extended the work of Thorn and Gallagher , reaction of organozinc with glycals to give the corresponding C1 enitols (309 ^ 344), to the synthesis of C-linked glycosyl amino acids. This is exemplified by the conversion of 309 to 347 (Scheme 61). of the ester cyclopropane 351 . Hoberg and Claffey showed that treatment of the related glycal 352 under similar conditions gave 353 as the major product in 87% yield, with only trace amounts of the other three possible isomers (Scheme 62) . The formed cyclopropanes have proved to be useful in several cases. For instance, 350 has been ring-expanded to the bicyclo olefin 354 by exposure to TMSOTf . Compound 355 was also found to undergo ring opening to the dihalide 356, albeit in low yield . In addition, 351 was converted to the Fuc-GDP analog 357, a potential transition state based inhibitor (Scheme 63) . 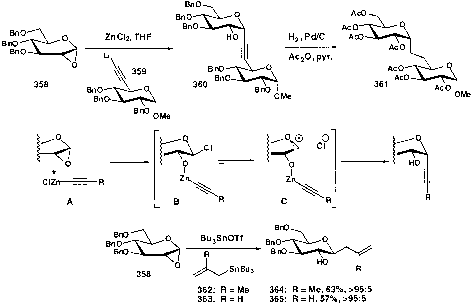 Van Boom and Sinay have collaborated to show that the reaction of acetylides with 1,2-anhydro sugars under the influence of zinc chloride catalysis gives the a isomer as the major product. Accordingly, reaction of 358 and 359 under the aforementioned conditions gave 360 in good yield. Standard protecting group manipulations then gave the C-disaccharide 361. 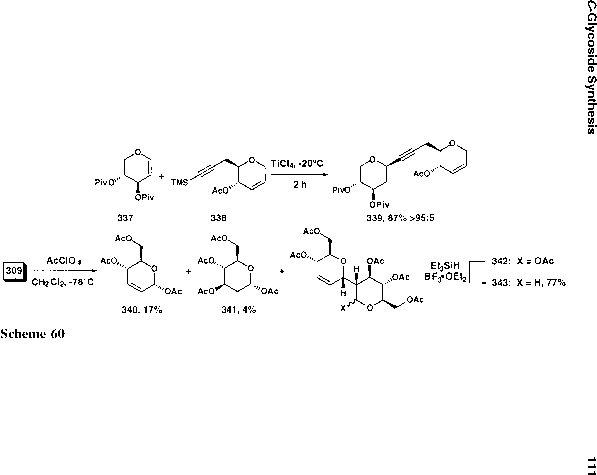 The reaction is postulated to proceed via intermediate C . Evans and coworkers have found that allylstannanes serve as good nucleophiles for oxirane opening of the 1,2-anhydro sugars under Lewis acid catalysis. Treatment of 358 with either 362 or 363 in the presence of tributyltin triflate gave good yields of the corresponding 0-allyl-C-glycosides 364 and 365 (Scheme 64) . Gervay et al. reported reduction of the diastereomeric epoxides, giving regio-isomeric mixtures of alcohols (369 and 370) (Scheme 65) . 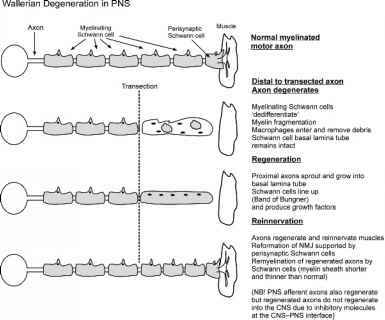 Related work (not shown) has been reported by Panza et al. .